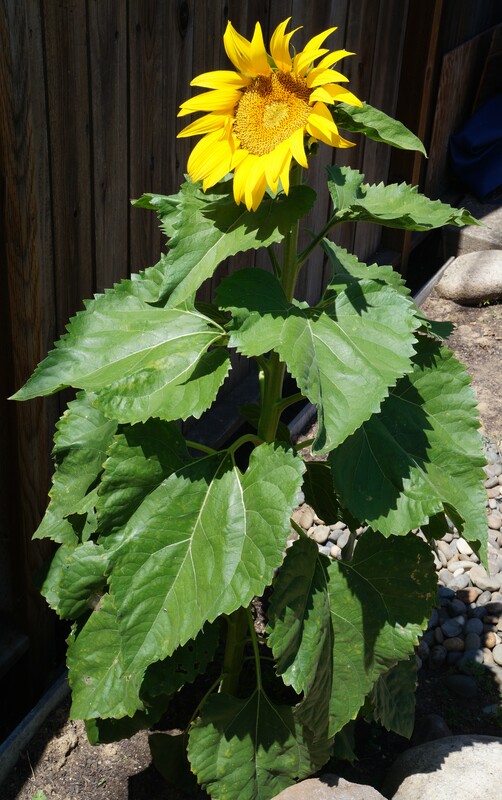 Here’s a volunteer sunflower by the pool; we feed the birds and they do the planting. Bees and bugs love it. Here’s Gertie in April, 2015 in the front garden where the Chinese elm or Lacebark Elm (Ulmus parvifolia) used to be. Japanese Pine in center and volunteer sunflowers at back. 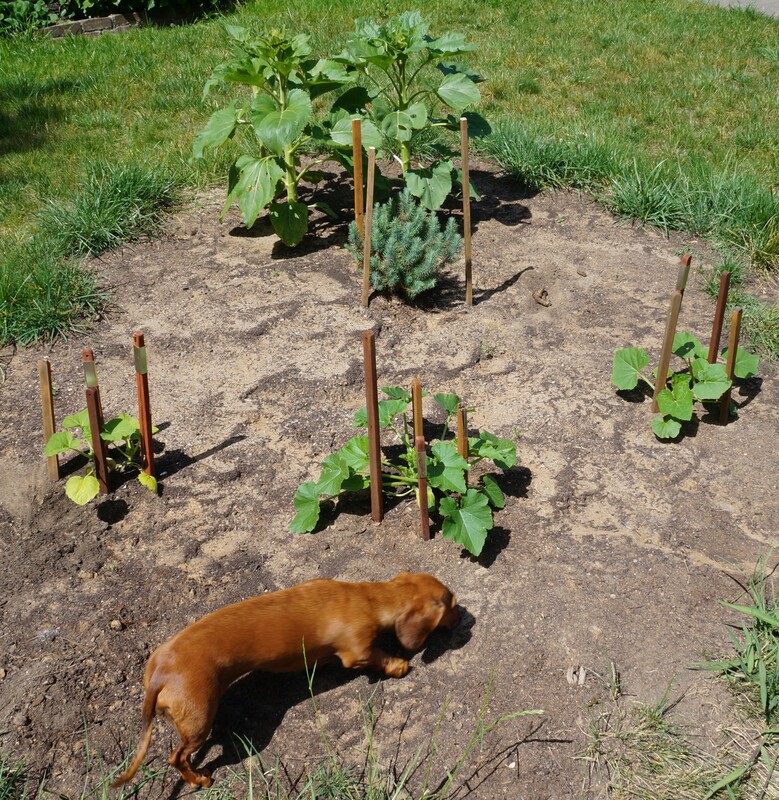 The stakes worked to keep dogs and cats off the plants. The crookneck yellow squash on the left was always puny but lots of fruit on the right one. 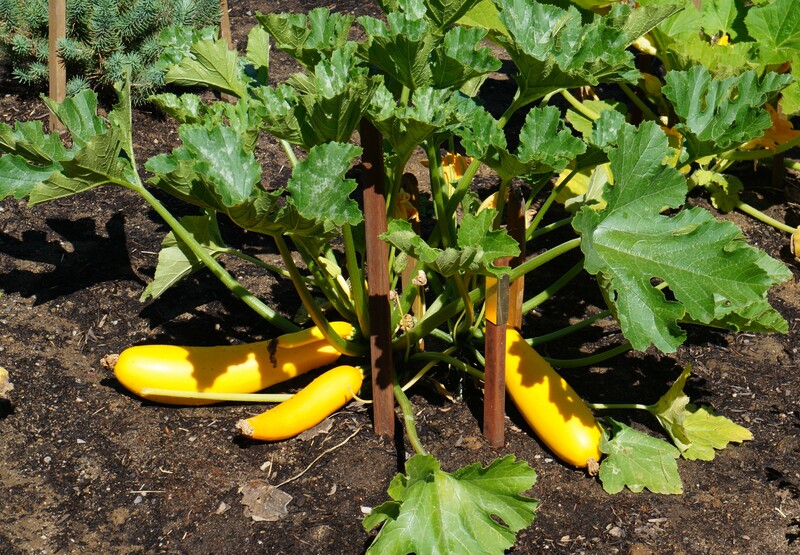 At front, center is a yellow zucchini, doing well as you’ll see at right. Looks like over a half-dozen fruit, some ready to pick right now. I initially fertilized with Miracle-Gro but I don’t know the NPK. 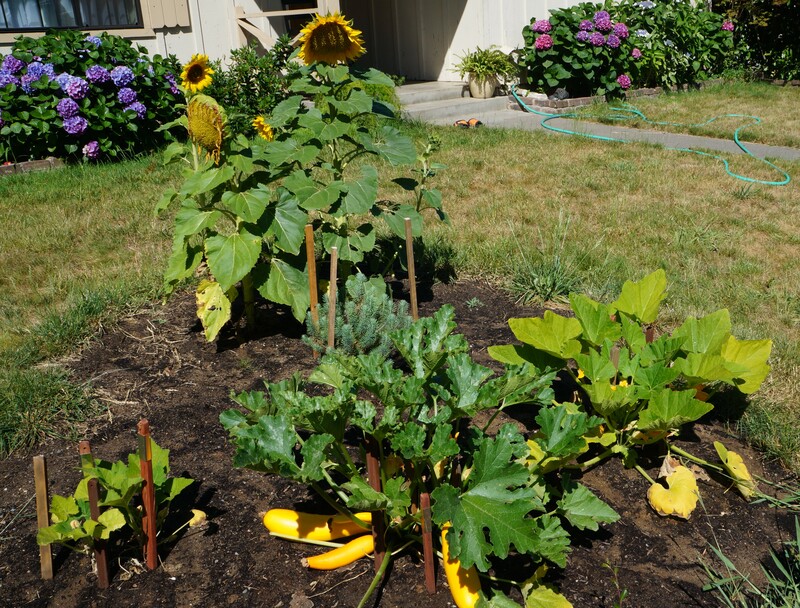 Here’s a wider shot from today, 8 June, 2015, showing the baby Japanese pine and more volunteer sunflowers. We don’t water the lawn much since the drought but still water the thirsty hydrangeas and lace-cap hydrangeas. 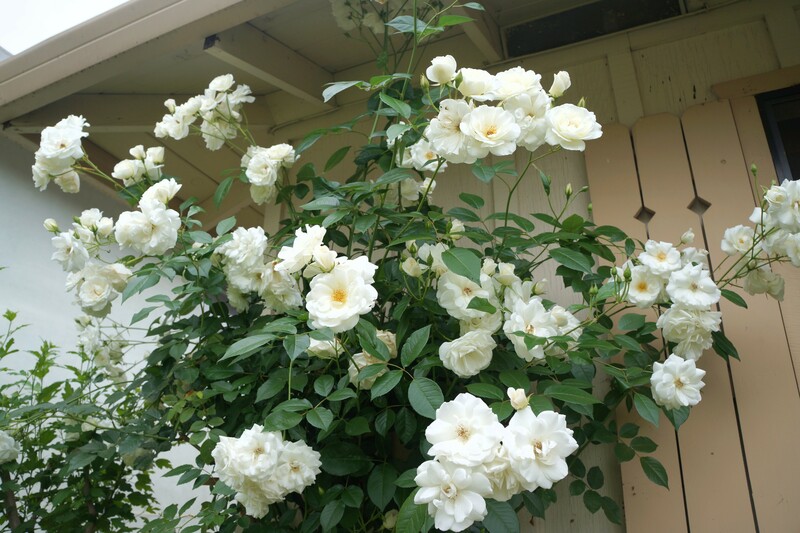 These white roses always do well while the red and pink ones by the pool never flourish, the blossoms blooming looking dried and mildewed. 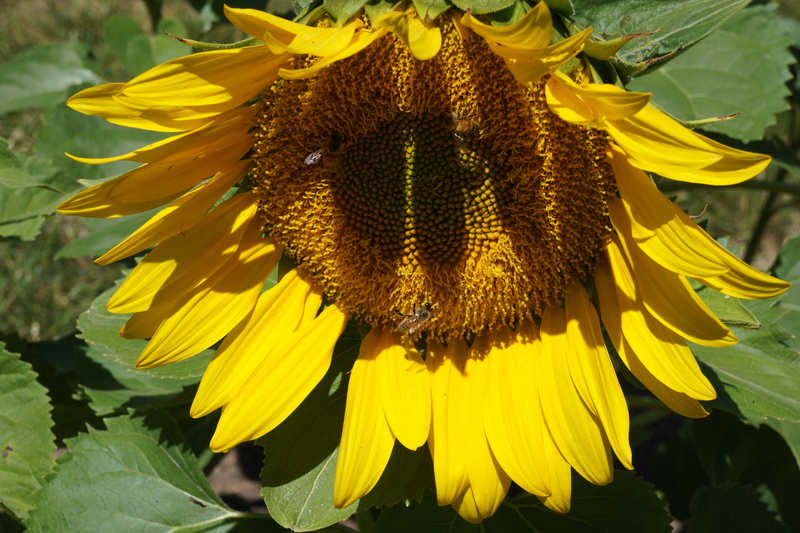 All kinds of insects visit the sunflower (Helianthus annuus). Any advertisement you see on these pages was chosen, placed and monetized by WordPress. I am neither consulted nor compensated.